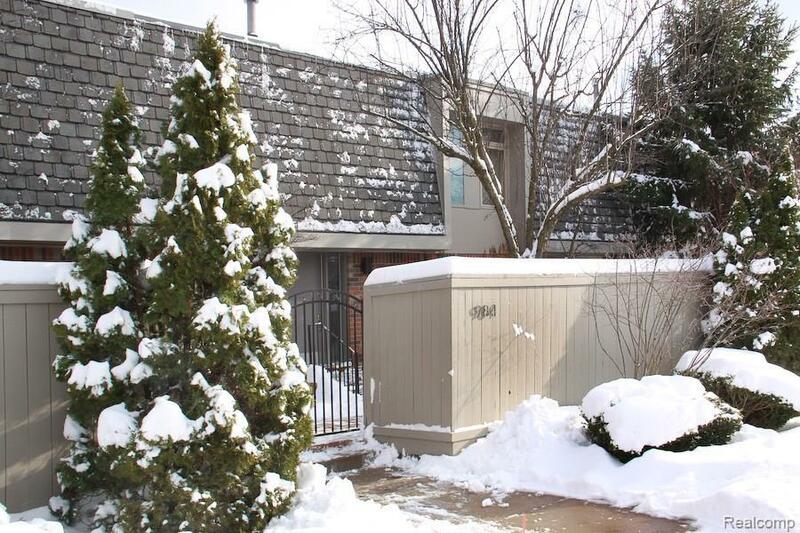 Lease: Stunning Bloomfield Hills Townhome close to Cranbrook Schools, and only 5 minutes to Birmingham. The condo is completely updated throughout. Foyer greets you with open floating staircase & leads to spacious Living Rm and Dining Rm boasting fireplace, hardwood floors, crown molding and 10 door wall to deck with amazing forest and pond views. All new open Kitchen features modern cabinetry, granite counters, subway backsplash and new stainless stove and dishwasher. Large Master Bedroom has large WIC with dressing area & updated shower and vanity. Second bedroom features private updated bath. LL w/2 car attached garage, laundry room& small storage area. 2016 updates include kitchen opened to living rm, refinished deck off Living Rm, re-landscaped patio at entry and many other improvements. Designed with privacy and worry-free living in mind, this home provides the ideal opportunity to experience life in the areas most exclusive community.